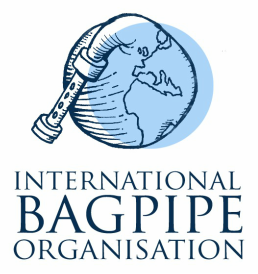 The first International Bagpipe Conference was organised by Cassandre Balosso-Bardin launching the first International Bagpipe Day, an idea fathered by Andy Letcher during the Bagpipe Society’s 2011 Blowout Festival. The event was a great success with about 100 people attending the academic conference, 200 the concert and 100 the evening dance. Participants came from all over Europe: Austria, Sweden, Portugal, Spain, France, England, Scotland, Belgium. We were also happy to include bagpipe celebrity Carlos Nuñez in the audience. The event attracted national media attention with many interviews on local, national and international radio stations as well as an interview on BBC1 Breakfast show. A full report with a summary of each speaker’s talk is available on the right. All conference talks are available online at SOAS Radio. A huge thank you to everyone who was involved in the organisation and to the speakers. We would also like to thank the Institute for Musical Research for providing a beautiful hall and an impeccable catering service, SOAS for its support with the event organisation and the press release, the Bagpipe Society for its funding help and great human support, the British Forum for Ethnomusicology for its funding and the EFDSS for its marketing help. A great thank you as well to all the volunteers and friends who made this day possible.